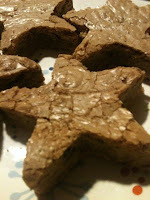 United Cakedom: Brown-Butter Toffee Brownies!! find this recipe on Martha Stewart's site or in her book Cookies!! I omitted the nuts from the orginal recipe and added a second cup of Heath Toffee bits!